Almighty and everliving God, in your tender love for the human race you sent your Son our Savior Jesus Christ to take upon him our nature, and to suffer death upon the cross, giving us the example of his great humility: Mercifully grant that we may walk in the way of his suffering, and also share in his resurrection; through Jesus Christ our Lord, who lives and reigns with you and the Holy Spirit, one God, for ever and ever. A men. ﻿Rector’s office hours Tuesday, Thursday, Friday by appointment only. 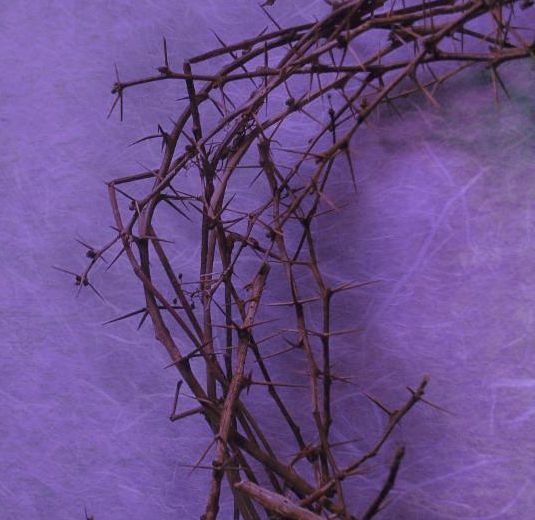 -Sunday, April 21, Easter services at 8 and 10 a.m.
...fEaster egg hunt for children follows the service. 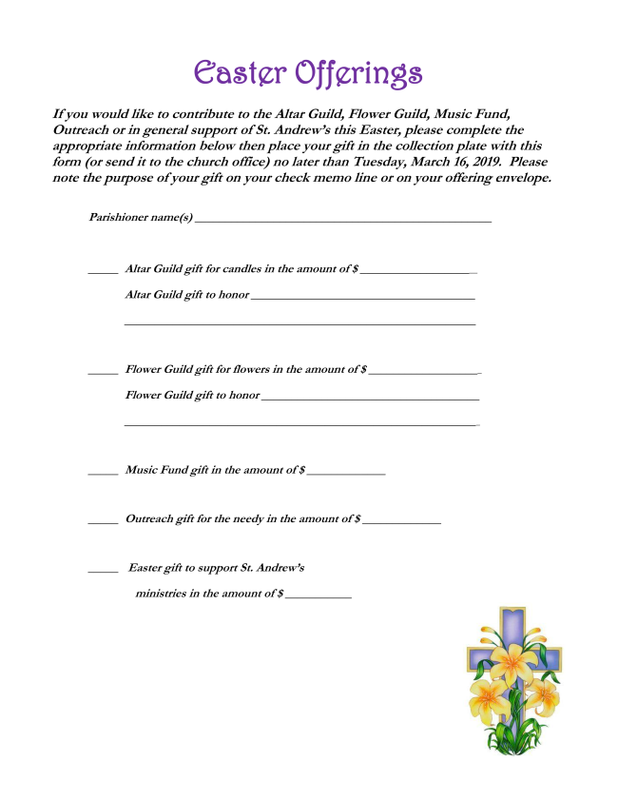 Easter Offering : To honor or remember someone you cherish with an Easter offering to the Altar Guild, Flower Guild, Music Program, Outreach programs or other, complete this form and return it to St. Andrew's by Tuesday, April 16 so that your gift is listed in the Easter Sunday bulletin. Bishop Martins will visit St. Andrew's on April 28. ECW will host a reception on this date following the 10 a.m. service. New cellular blinds will be installed in Fr. Joel's office by April 28. ECW is providing funds for this purchase. Fr. Joel will be on vacation May 19 (afternoon) to May 25 and a Sunday in June when Fr. Boase will officiate at services. 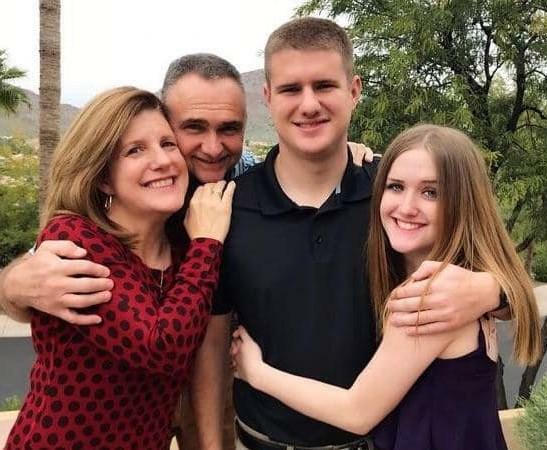 Plans are in place for two going away celebrations for the Hoffmans on Sunday, April 14 -- one during coffee hour and another at Sandy Cooper's in the afternoon. A nomination was approved for the vacant vestry position. Fr. Joel will ask the nominee if he/she will accept the nomination and serve to the end of 2019. St. Andrew's has received its 2018 Certificate of Operation for the church elevator from the State of Illinois. It is posted inside the elevator. 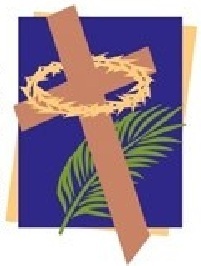 St. Andrew's Easter services will appear on a special Easter page in The Intelligencer and The Telegraph on Thursday, April 11. Kim and Dave Berger first began attending St. Andrew’s in 1995. After a hiatus of a few years, Kim and Dave are happy to be back at St. Andrew’s, which they consider their “church home.” The Bergers have worked at National Geographic-Intelligence (NGA) in St. Louis since 1988. They met through an intramural volleyball league and were married in 1993. Dave grew up in Centralia, completed his baccalaureate at SIUC and his master’s in Geodetic Sciences and Surveying at Ohio State. He has served St. Andrew’s as a vestry member, usher coordinator and counter. Kim’s hobbies are tennis and reading. She is an Army “brat” who lived in several US cities including Punta Gorda, Florida, but also lived in Jeddah, Saudi Arabia. She earned her baccalaureate at the University of Florida and her master’s in Geography from Ohio State. She is a new Eucharist Minister but has previously served the parish as a choir member, Church School teacher, Music and Worship Committee member, and usher. The Bergers have two children, Andrew (Drew), age 21, and Samantha (Sammie), age 18. Drew is currently attending the University of Missouri but plans to join the Air Force soon in hopes of becoming an airborne linguist. Many in the parish will remember Drew as an acolyte. Sammie is a senor at Edwardsville H.S. and will attend the University of Southern Mississippi in the fall to study Hospitality and Tourism Management. She, too, is a former St. Andrew’s acolyte. Drew and Sammie both have been involved in high school athletics – Drew as a hockey player and Sammie as a soccer player. 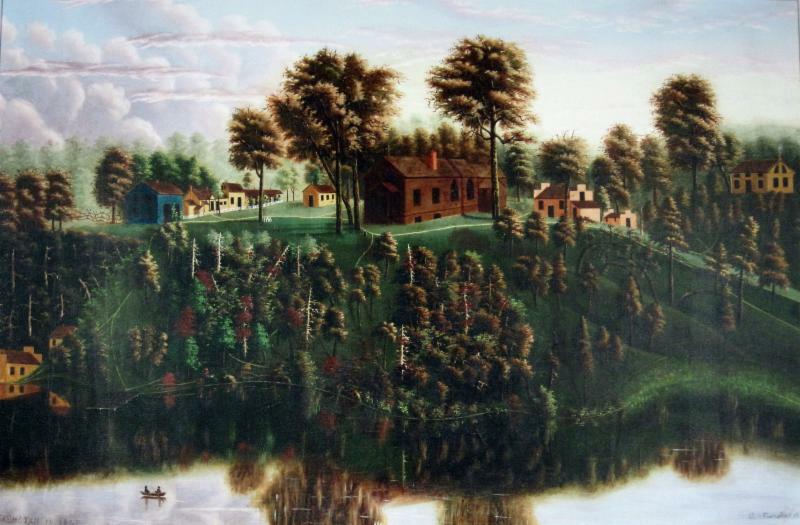 St. Andrew’s has recently received from Father Hoffman a large (35”x 23”) and beautifully framed copy of a painting depicting Nashotah House Theological Seminary as it appeared in 1847, five years after its founding (depicted below). It was presented to Father Hoffman, a graduate of Nashotah House, by parishioners of St. Paul’s Episcopal Church of Sikeston, Missouri, in gratitude for his service. Nashotah House has been in our minds recently with the ordination to the diaconate of former parishioner Shane Spellmeyer, whom St. Andrew’s has supported in his training at that institution, but there are many other links. In addition to Father Hoffman, they include graduates Father Morsch and Bishop Martins, former faculty member Father McMichael, but also graduates Father Pearson, Father Becker and others in the more distant past. The seminary is located in the small town of Nashotah, Wisconsin, about 30 miles west of Milwaukee, and derives its name from a Native American word meaning “twins,” referring to the two nearby Upper and Lower Nashotah Lakes. It is the oldest institution of higher learning in the state. Nashotah House was established in 1842 as a western outpost of the “Oxford Movement,” a 19 th century impulse within the Anglican Church to restore some elements of Roman Catholicism that had been rejected during the Reformation. Nashotah House remains a stronghold of Anglo-Catholicism. The picture will serve as a reminder of the role that Nashotah House has played in our history, and of the invaluable gift to St. Andrew’s that he and Sharon have been. The St. Andrew’s Book Club will meet Monday, April 15, 1 PM in Pearson Hall. The selection for this month is Siddhartha by Herman Hesse. The Spring Book Fair at St. Andrew’s will be held on Friday and Saturday, May 3-4. The sale will be open on Friday 5 p.m. – 8 p.m. and on Saturday 9 a.m. – 3 p.m. St. Andrew’s has four book fairs annually, on the first weekend of February, May, August and November. Can you help with the St. Andrew’s Spring Book Fair? We are looking for additional volunteers to assist before and during the Spring Book Fair on May 3-4. If you are willing to volunteer, please contact Cindy Reinhardt at 618-656-1294 or cynreinhardt@gmail.com to be added to the volunteer list. Sales floor volunteers and greeters work the halls and in the undercroft. Cashiers work in the cash office (AKA choir room) and must be able to add quickly and accurately without a calculator.